This is going to sound very smug…… I don’t have one! I have been very strict. I’m not allowed to start another project until the current one is finished. That doesn’t mean to say that the situation won’t change!! I have a feeling I won’t be able to resist starting some things in the not too distant future, but hopefully none will become ‘lost’. I thought I’d show you something that wasn’t exactly ‘LOST’ but has been resurrected. Inside are a collection of pages I hand dyed. I have a few of these – all will be used at some point, but this one made me think of the sea, so I’ve decided to make it my journal for our little mini cruise in a couple of months. It needs a little more preparation, so that’s my intention – and I have feeling you will see more of it next month during the A-Z challenge. Are you going to join in? The link is in the sidebar. If you do add your name = don’t forget to let me know below – I’d hate to miss a post. I’m not sure I will do this challenge. Unlike you I have many WIPS and will run to catch up sometime. I really love the colors of your book. You are very good to not have multiple projects going. I always tell myself not to start a new project until I finish my current project but then I end not working on either. 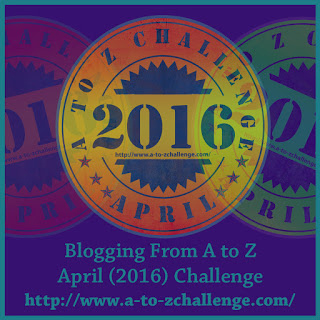 As for the A to Z challenge. I am still thinking about it. I had originally planned to take a break this year but I have a feeling that that plan may no longer be what’s happening.